Allegra For Dogs: Uses / Dosage / Side Effects - Veterinarian approved! 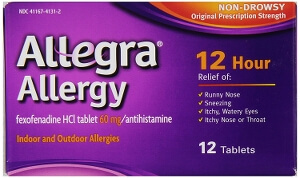 Allegra® (generic name: fexofenadine hydrochloride) is a second generation antihistamine which is formulated to treat allergies in humans. 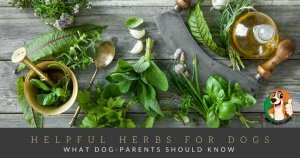 Although the drug has not been approved for use in dogs by the US Food and Drug Administration (FDA), Veterinarians have been prescribing Allegra for dogs with nasal or skin allergies as an extra-label drug. It is particularly useful for treating allergic rhinitis in dogs but is considered less sedating than other antihistamines. Fexofenadine for dogs is primarily used to reduce or prevent symptoms of allergic rhinitis and atopic dermatitis. It is best given before the itching becomes worse and it should be used consistently. Antihistamines are more efficient in their action if started before the animal is exposed to the allergen and used regularly. If your dog suffers from anxiety, you might check out our post on L-Theanine for dogs. Allegra is available in different formulations – 30, 60 and 180 tablets. The Allegra formula that is prescribed by veterinarians is the one where the active ingredient is ONLY fexofenadine hydrochloride. Make sure to give the exact preparation that is prescribed by your vet. Your vet will compute the proper dose based on your dog’s size and weight. Some fexofenadine hydrochloride formulas are combined with certain medicines that should NOT be given to dogs. A common example is Allegra D; it contains pseudoephedrine (a decongestant) which can be harmful to dogs. 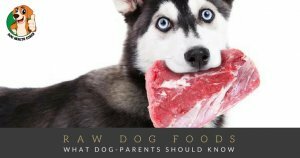 Another Allegra formulation that should NOT be given to dogs is the children’s oral suspension because it contains xylitol which is toxic to canines. Allegra is also available as a 30 mg oral dispersible tablet formulated to dissolve on the tongue of humans, which can be difficult in dogs. Also, some types of tablets contain xylitol, which can be toxic to pets. Fexofenadine can be administered with food or without. You may give food to your pet if he tends to suffer from gastrointestinal upsets. The duration of administration generally depends on the problem being treated, response to medication, and whether or not the dog showed any adverse effects. Most veterinarians recommend a two-week trial to determine the efficacy of Allegra in dog patients. It is also recommended that Allegra should not be given with fruit juice, although it’s unlikely that you will be giving fruit juice to your dog. Compared to other types of antihistamines for dogs, Allegra has, in fact, the fewest side effects, especially when it’s given following proper administration as instructed by the vet. Even though fexofenadine is considered non-drowsy, sedation may be possible as the dosage increases, although it is very rare. It may also have a negative effect on the heart at high doses. Make sure to contact your vet right away if your dog exhibits adverse side effects, such as coughing and vomiting, after taking Allegra. While Allegra can be bought over-the-counter, it should not be administered without the advice and supervision of your veterinarian! It is recommended that you should complete the prescription unless specifically instructed by your veterinarian. Most veterinarians formulate an allergy treatment regimen that involves continued medication even after the symptoms are gone, to prevent relapse. Did we miss anything? Please share your thoughts in the comments.